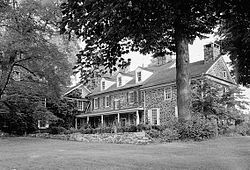 Waynesborough, also known as Gen. Anthony Wayne House, was the home of American Revolutionary War general Anthony Wayne (1745-1796). He lived there for all his life except his last 5 years. The house was built by Wayne’s grandfather, Captain W.M. 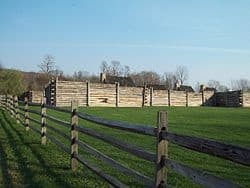 Wayne in 1724. 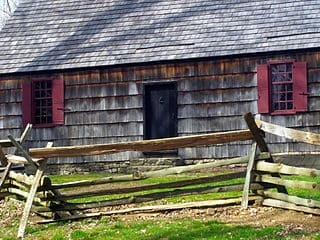 Captain Wayne’s son enlarged the house in 1765 and a wing was added in 1812. 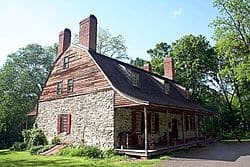 The Philadelphia Society for the Preservation of Landmarks (Landmarks) offers tours of Waynesborough from mid-March through December on Wednesday through Sunday from 1-3 p.m. Many buildings near the Waynesborough home have been named after it.